Welcome to my store and thank you for downloading this file! I appreciate your support and interest! I hope you and your students enjoy using this product! 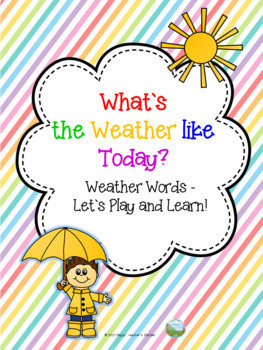 Weather Words – Let`s play and learn! 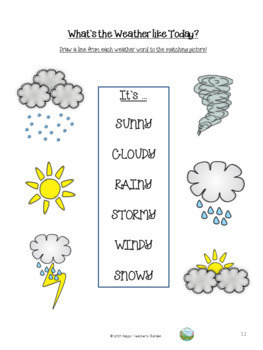 Worksheets and activities - quick and fun resources that can be used to review and practice weather vocabulary. 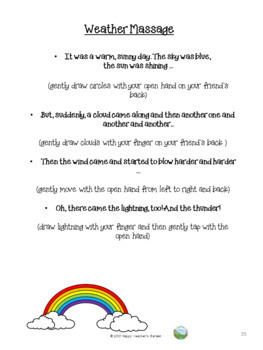 It`s a time saver - print it, use it and have fun!! • Please go to your My Purchases page. Beside each purchase you'll see a Provide Feedback button. Simply click it and you will be taken to a page where you can give a quick rating and leave a short comment for the product. Each time you give feedback, TPT gives you feedback credits that you use to lower the cost of your future purchases. I really appreciate your feedback! • Click on the green star below my store logo and become my follower. You will receive email updates about this storenew products, freebies and discounts. All rights reserved by © Happy Teacher`s Garden. 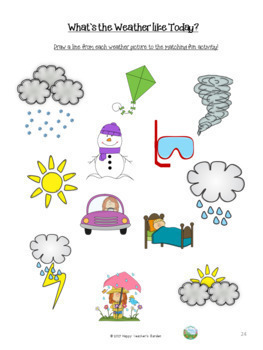 Purchase or download of this product entitles the purchaser/downloader the right to reproduce the pages in limited quantities for one classroom only and not for commercial purposes. This product is also bound by copyright laws and distributing, editing, selling or posting this product or any part of it on the Internet in any form are all strictly prohibited without first gaining permission from the author. Violations are subject to the penalties of The Digital Millennium Copyright Act.